Want to celebrate women making movies. 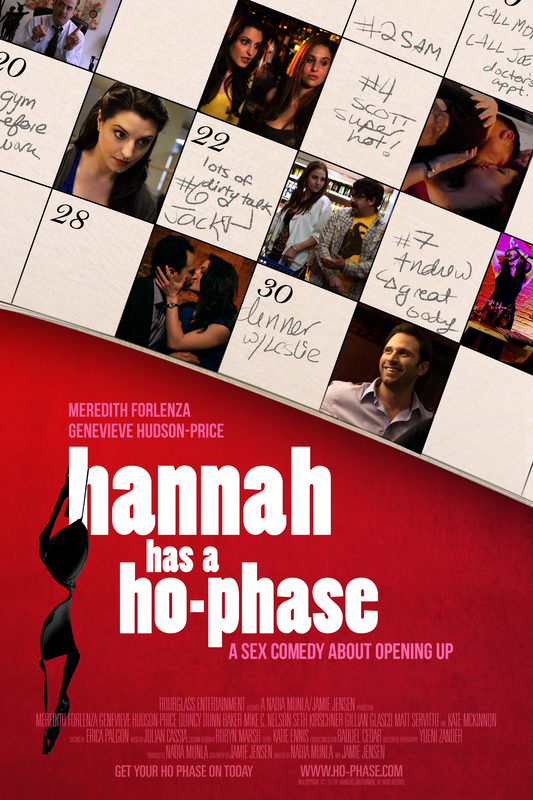 Check out Hannah has a Ho-Phase. Nadia Munla with screenwriting partner Jamie Jensen directed the female-driven movie Hannah Has a Ho-Phase and made the movie with an all-female crew. I met Nadia after contacting USC about my female filmmakers project – and got the opportunity to shoot the interview above, edited by Dana Hayes. Nadia and Jamie shopped around the script for Hannah in the traditional fashion and struggled with the consistent note, “It’s really funny. Like a female Hangover – but where is the male perspective?” …. So, Hollywood … here is the female perspective for a change!